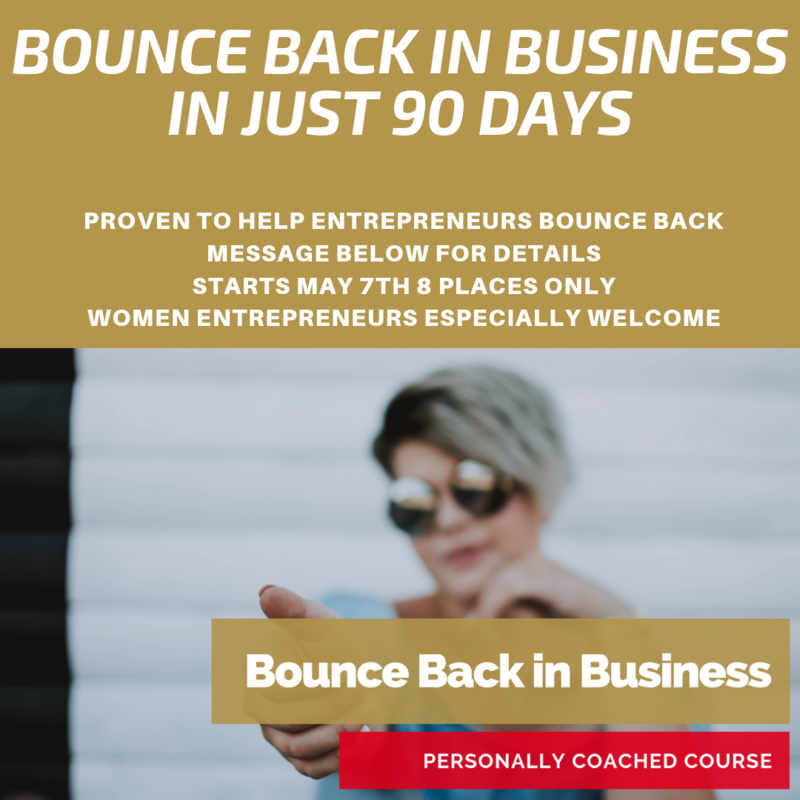 The next Bounce Back in Business (BBIB)90 is open for May 2019. The course lasts 90 days and has been proven to succeed in helping entrepreneurs find a new path to happiness and prosperity AFTER an earlier venture has failed or become bogged down. 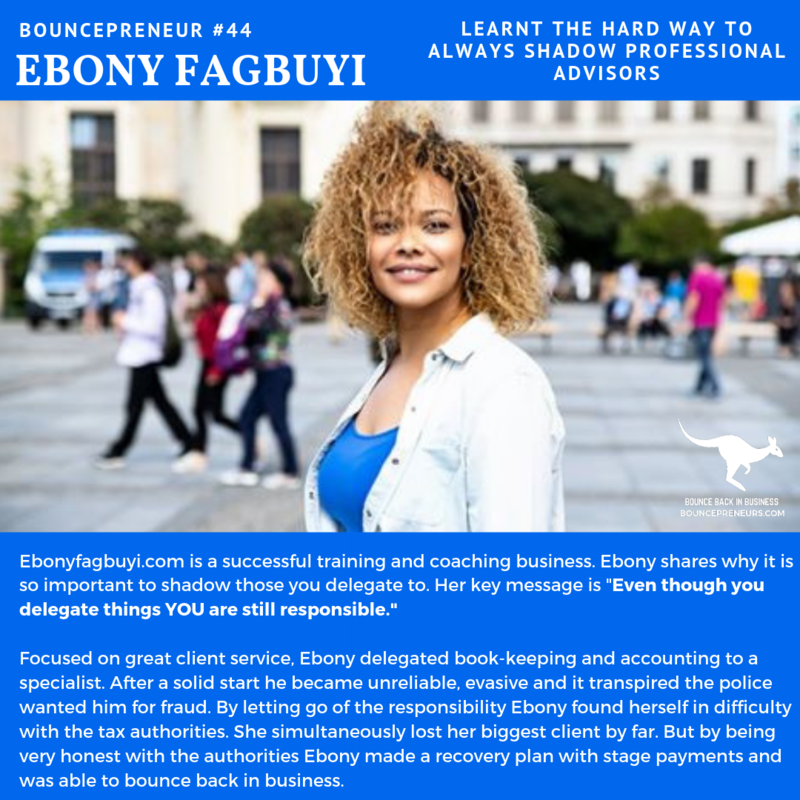 German Entrepreneur Ebony Fagbuyi found herself unexpectedly in a difficult situation, which threatened the life of her business. She put integrity first and bounced back to success. 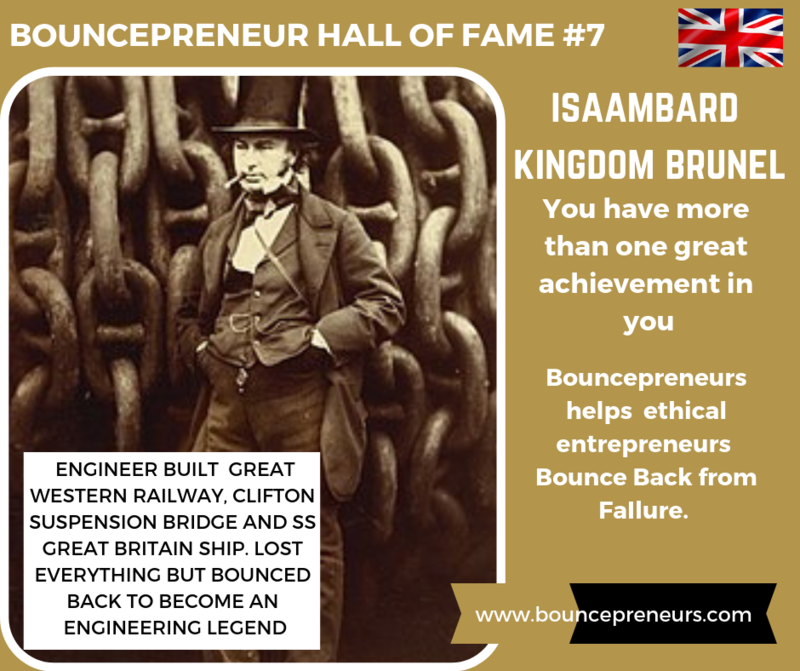 Isaambard Kingdom Brunel Anglo-French engineer built more than one amazing project. 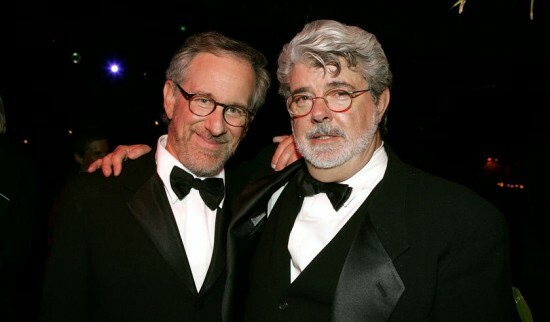 He also suffered business failure and loss of reputation. His projects included the Great Western Railway, SS Great Britain ship and the iconic Clifton suspension bridge. Varun Pruthi's short film is full of Bollywood dramatics. The underlying message is both thought provoking and challenging. Our hero entrepreneur (played by Varun) is dumped by his materialistic girlfriend because he cannot afford the lifestyle she wants. 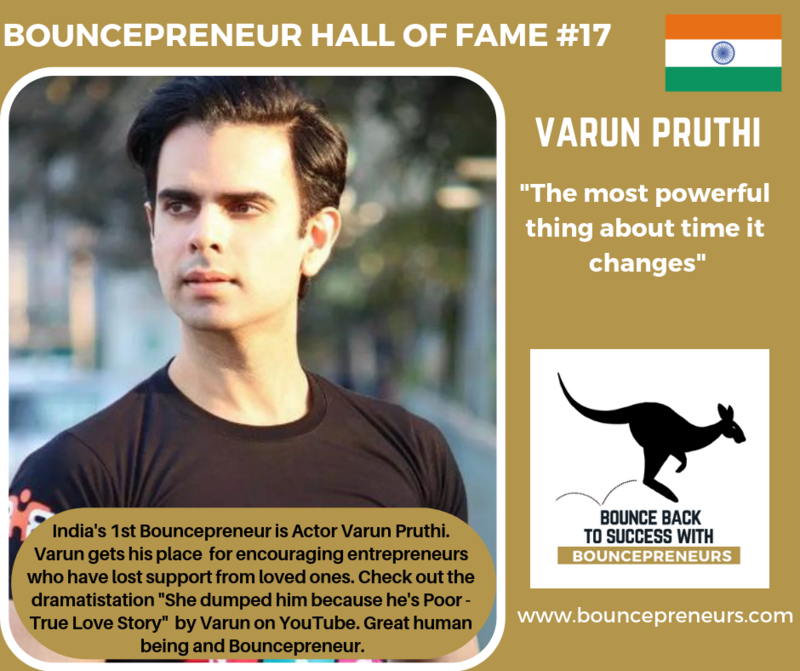 The film fast forwards to see Varun now a very successful entrepreneur and likely multi-millionaire. He is meeting with a project manager employee. 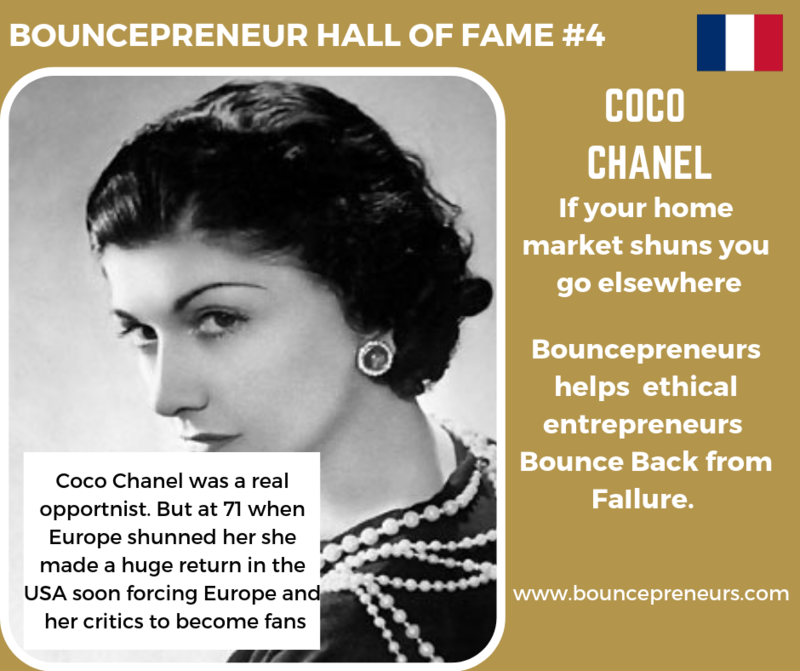 Coco Chanel was a real opportunist. But at 71 when Europe shunned her she made a huge return in the USA soon forcing Europe and her critics to become fans. Like Hugo Boss Coco Chanel could be called a war-time collaborator. She certainly was a colourful character and probably only escaped jail due to her connections to Winston Churchill and gifting US GI's free perfume. But who knows the real truth of her war-time activity. Honest Abe Lincoln bought too much stock he couldn’t sell and then his partner died. He took 10 years to pay back his debt. But he did pay it behaving honourably as an ethical entrepreneur. 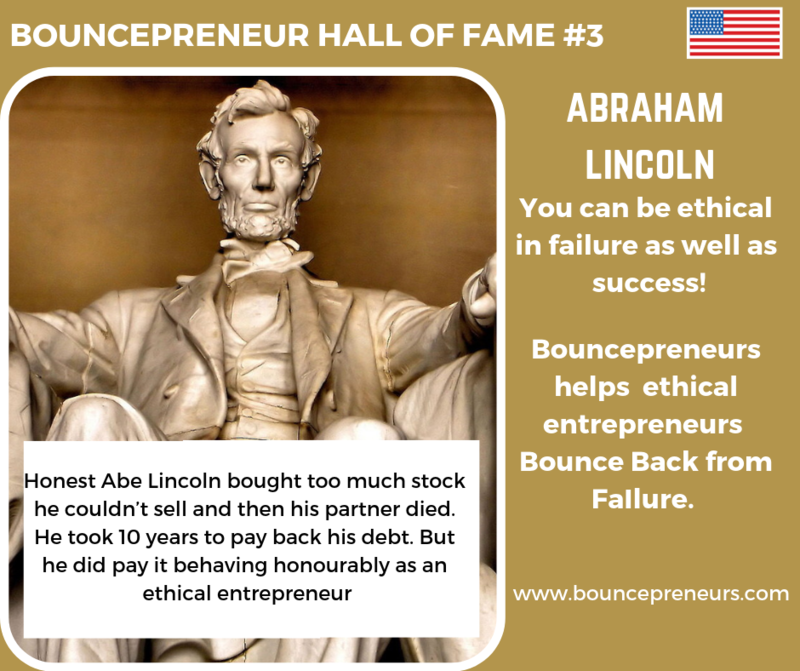 His bounce back in business shows you can be ethical in failure as well as success. Abraham Lincoln failed and bounced back so many time it is extraordinary. • 1816 His family was forced out of their home. He had to work to support them. Two years later his mother died. 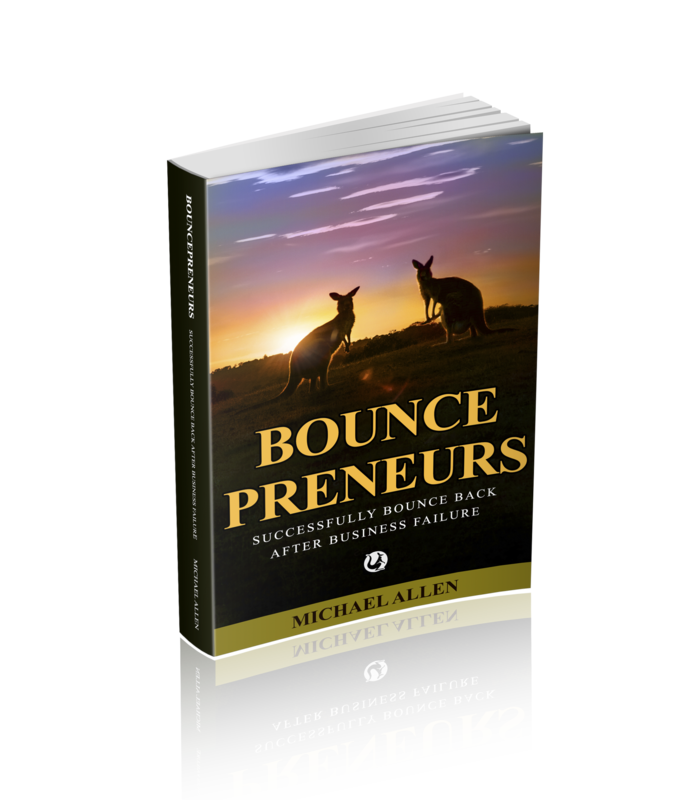 Michael Allen wrote his first Bounce Back in Business book in 2017. 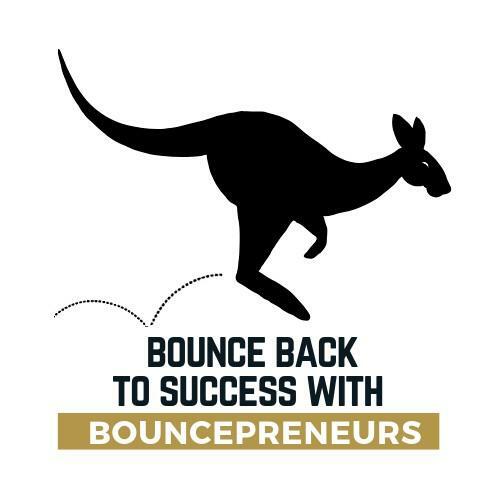 It is called - Bouncepreneurs How to Successfully Bounce Back After Business Failure. 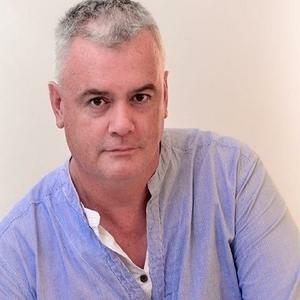 In the book Michael provides a road map on how to Bounce back in business and life. 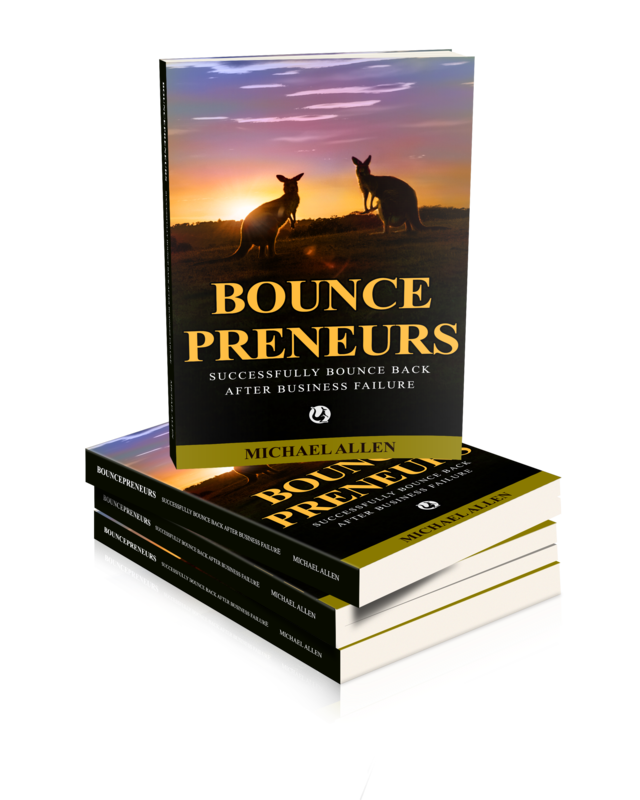 Since writing the book Michael has spoken at numerous events and has even developed a special course called Bounce Back in Business. During March the Book is available in free downloadable format simply by clicking on the book below. 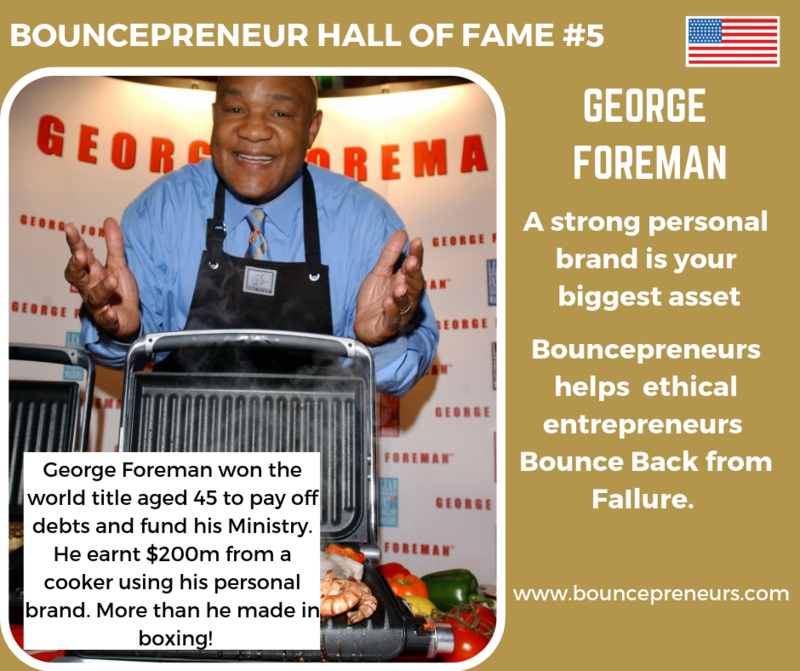 George Foreman won the world title aged 45 to pay off debts and fund his Ministry. But his knockout bounce back in business was with the George Foreman Grill! He earnt $200m from a cooker using his personal brand. More than he made in boxing!